Looking for things to do in Weston-super-Mare whilst you are on holiday? Then you have come to the right place! When it comes to things to do in Weston-super-Mare, we really do have something to offer everyone whether it's for a short break away or a large family holiday you will be pleasantly surprised at what we offer here and the surrounding areas. Here you will find some of the things we think you might like from attractions, activities, beaches and places to visit. Number 1 on our list of things to do with the family in Weston-super-Mare has to be the beach. Our magnificent beach and seafront is just one of the many attractions of Weston-super-Mare, offering plenty of activities to keep you busy. You may fancy some watersports, a donkey ride, a stroll along the prom, or you may simply want to take a seat, stop, and enjoy the view with an ice cream and watch the world go by! But you’ll also find so much more to fit into your holiday in Weston-super-Mare with the family. Weston-super-Mare is home to some of the South West’s best-loved attractions and places to visit. Weston-super-Mare being family friendly has lots of attractions to keep everyone entertained with The Grand Pier, Weston Sky Wheel, Weston Museum, Water Adventure Play Park and Pirate Adventureland Golf. Just outside of Weston-super-Mare is two enjoyable animal and wildlife parks, Puxton Park and Court Farm which are both all-weather attractions. Head to nearby Brean Sands for some superb attractions for kids, which include Brean Play, Brean Splash and Brean Theme Park. Our year-round programme of events attracts people from all over the UK and beyond. 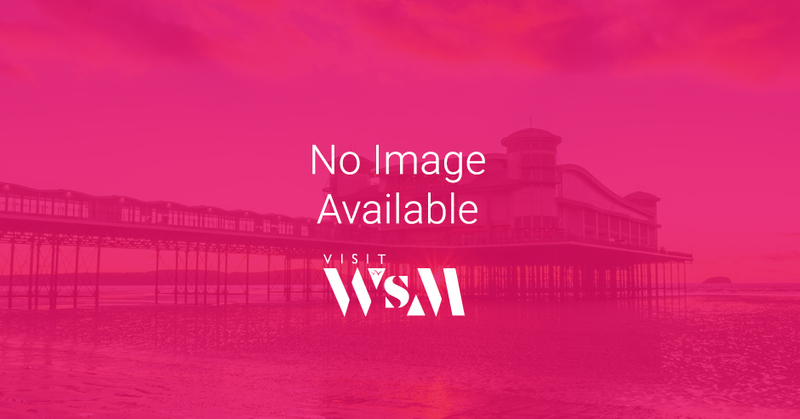 Events such as the Weston Air Festival, Weston Beach Race and the Weston Carnival ensure that there are always things to do in Weston-super-Mare, regardless of the weather, season or budget. If you’re staying in Weston-super-Mare for the weekend, a week or even just for the day Weston-super-Mare’s location in North Somerset means the town is well placed to explore nearby coast and countryside, with good transport links to both. Within an hour's drive, and served by public transport from Weston-super-Mare, take a visit to Somerset, where you will find the towns and cities of Clevedon, Cheddar, Glastonbury, Street and Wells! Lined with cobbled streets, independent shops and a wide choice of places to eat, a visit to Wells Cathedral and The Bishop's Palace and Gardens is an absolute must. There is an abundance of nature reserves and National Trust sites, such as Uphill Nature Reserve, Brean Down, Tyntesfield House and Sand Point & Middle Hope all within a couple of miles of the main seafront. Perfect for walkers, hardy cyclists, they offer a multitude of flora and fauna that changes magnificently with the season and command spectacular views. Also close by you will find sites such as Avalon Marshes, a haven for bird lovers and the West Mendip Way.